in my Etsy shop-Emma Joy Bunny Doll. Her wardrobe is pretty since she wants to be dressed for a Clear Spring Day that might be a little bit on the cool side. Her dress is sleeveless, but her jacket will keep her warm. Just a little hand stitching on the jacket makes this jacket so sweet. 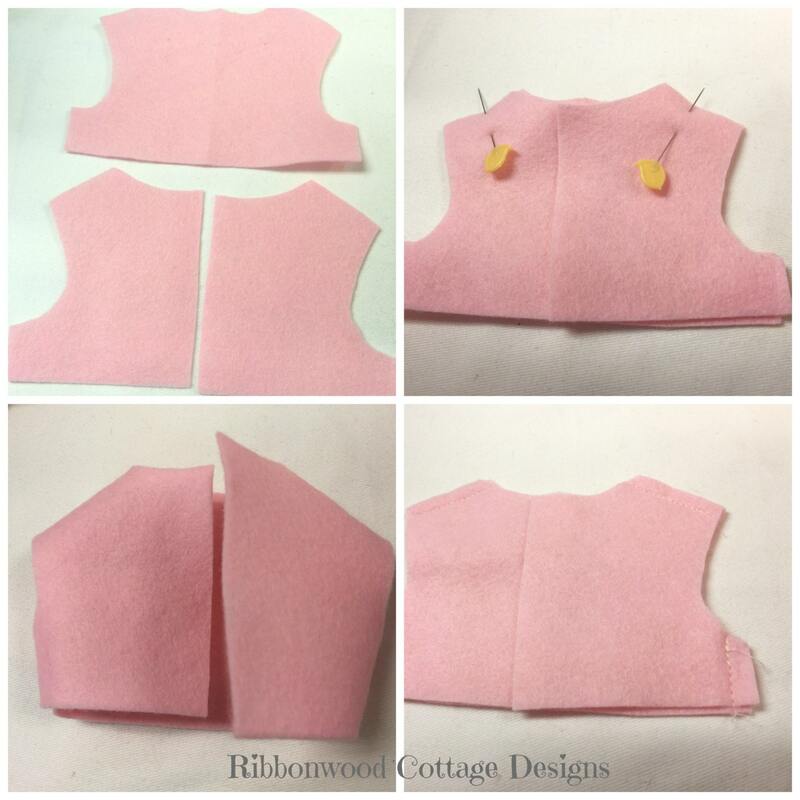 The pattern really is simple, the stitching is also simple and would be great for teaching a little one with little fingers how to sew. Be sure to see everything that goes with Emma Joy Bunny Doll. 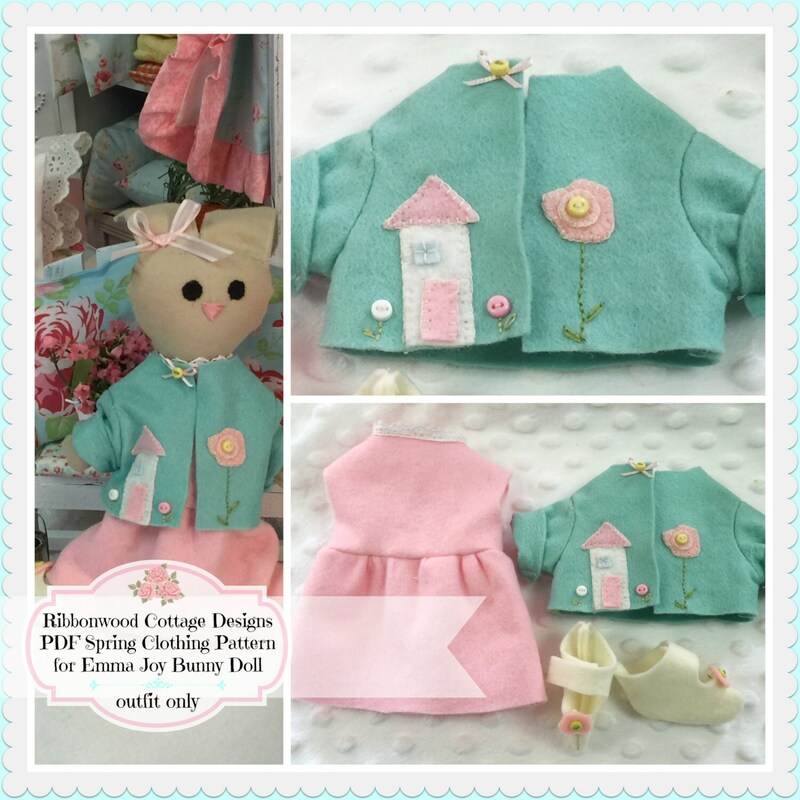 She loves to change outfits, and she loves going home to sleep at Ribbonwood cottage. 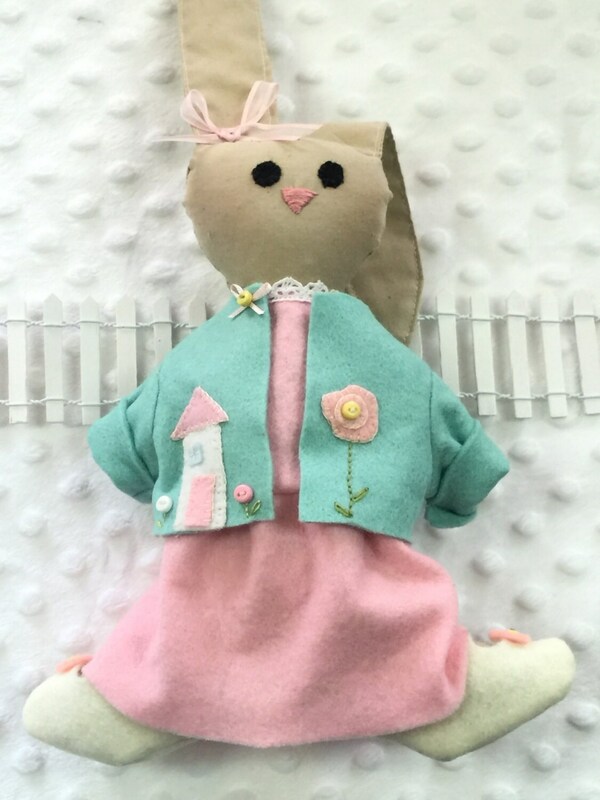 This wonderful Bunny Doll has been years in the making. Her name is Emma Joy! She is named after my first granddaughter. 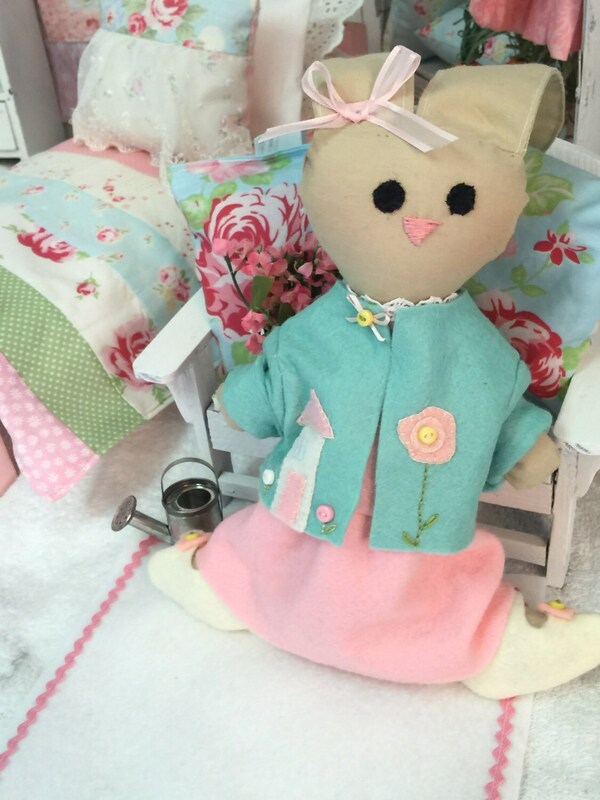 Emma Joy comes from a happy family of bunnies who live at Ribbonwood Cottage. She has sisters, a little brother, cousins and many friends that come to visit. Emma is just the beginning of my Bunny Collection. Follow along as we bring her world to life. 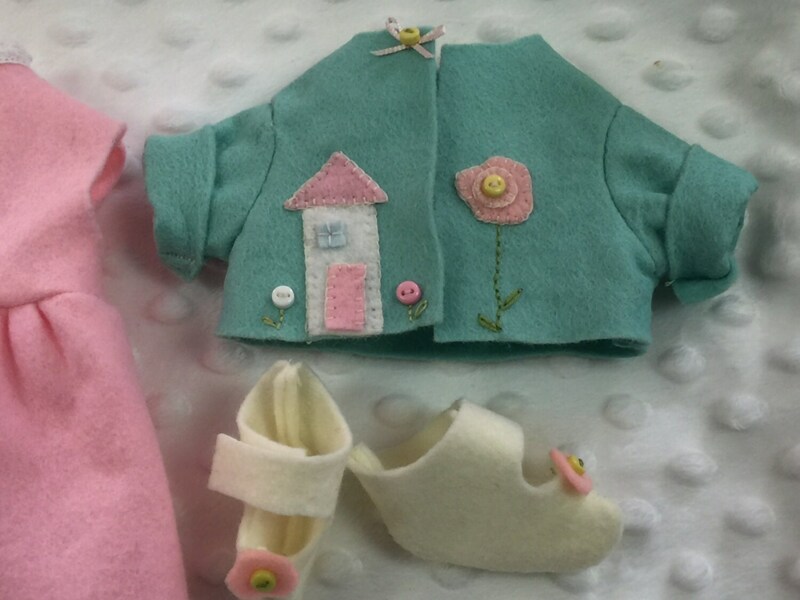 Many outfits to fill her wardrobe, beautiful bedding for her and her sisters bed. Her days are filled with visiting family, gardening, eating with her sisters, laughing in the son, changing into pretty outfits and looking forward to each day with great Joy and Enthusiasm!